For years I traveled the world meeting people in slavery, trying to understand the depth and truth of their lives. What I saw, heard, and learned changed me, and led me deeper into the work of ending slavery, but I was missing something important. Where there are slaves, the environment is under assault, forests are being destroyed, endangered species are dying, and climate change is worsening – and all of this destruction is driven by profits from products we buy. After seven years of research and travel, we now know that if slavery were a country it would be the third largest producer of CO2 in the world after China and the USA, though its population is only the size of Canada’s. The scale of this joint disaster has been too big to see, until now. Yet, it is precisely the role that slaves play in this ecological catastrophe that opens a new solution, one that unleashes the power of abolition to save and preserve the natural world. Now available for purchase online and at local bookstores! Bales' investigation of conditions in Mauritania, Brazil, Thailand, Pakistan, and India reveals the tragic emergence of a "new slavery," one intricately linked to the global economy. The new slaves are not a long-term investment as was true with older forms of slavery, explains Bales. Instead, they are cheap, require little care, and are disposable. 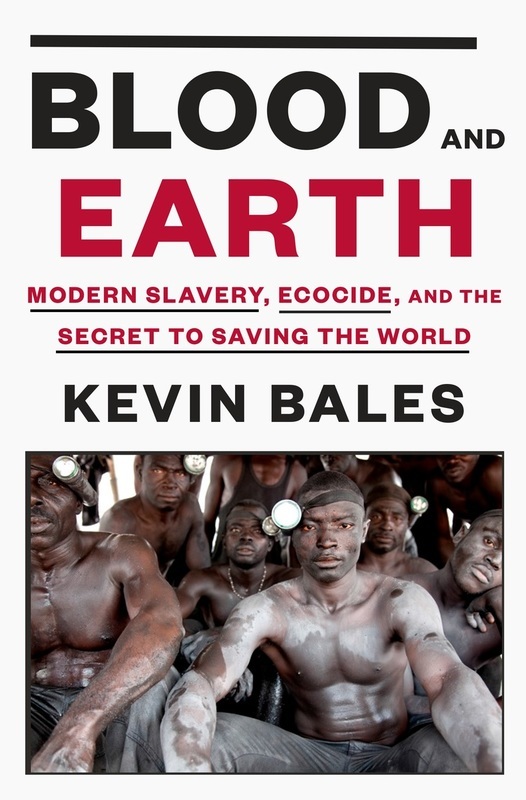 ​In Ending Slavery, Bales grapples with the struggle to end this ancient evil and presents the ideas and insights that can lead to slavery's extinction. Recalling his own involvement in the antislavery movement, he recounts a personal journey in search of the solution and explains how governments and citizens can build a world without slavery. In The Slave Next Door, Kevin Bales and Ron Soodalter expose the disturbing phenomenon of human trafficking and slavery that exists now in the United States. We find that slaves are all around us, hidden in plain sight. This book is a call to action, telling what we, as private citizens, can do to finally bring an end to this horrific crime. Bales explores broader themes about slavery's causes, its continuation, and how it might be ended. Written to raise awareness and deepen understanding, and touching again on individual lives around the world, this book tackles head-on one of the most urgent and difficult problems facing us today. Written by the world’s leading experts, this shocking examination combines original research with first-hand stories from the slaves themselves to provide a reliable account of one of the worst humanitarian crises facing us today. 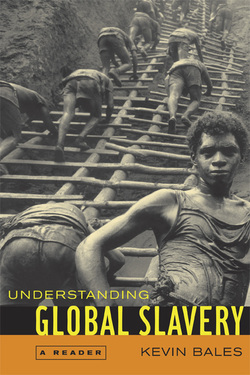 Looking ahead, the authors explain how slavery can end in our lifetime. Blends original research with shocking first-hand accounts from slaves themselves around the world to reveal the truth behind this hidden crime. Though illegal in every country, only a handful of slaves are reached and freed each year, but the authors offer hope charting how liberation is growing worldwide. To Plead Our Own Cause contains ninety-five narratives by slaves and former slaves from around the globe. The narratives movingly and eloquently chronicle the horrors of contemporary slavery, the process of becoming free, and the challenges faced by former slaves as they build a life in freedom. An editors' introduction lays out the historical, economic, and political background to modern slavery, the literary tradition of the slave narrative, and a variety of ways we can all help end slavery today. Documenting Disposable People features newly commissioned photo essays by eight renowned Magnum photographers--Ian Berry, Stuart Franklin, Jim Goldberg, Susan Meiselas, Paolo Pellegrin, Chris Steele-Perkins and Alex Webb--on diverse instances of contemporary global slavery. This compendium includes texts on each of these projects, an essay by expert and author Kevin Bales, and an interview with Director of Autograph ABP and curator Mark Sealy. Designed for use by students aged 14 to 18. This small book, authoritative and passionate, is part of the Groundwork Guides series. It discusses numbers, causes (including war, corruption, and poverty), and conditions (today, slaves are cheap and that makes them disposable, thrown out when weak or sick), all within an overview that shows that human trafficking now is often in children, whether as soldiers, prostitutes, or forced labor.